There are three main factors when it comes to making a good pizza base: the amount of water, how well the dough has been kneaded, and how long it is allowed to prove. Get those right, and you will have a great pizza every time. 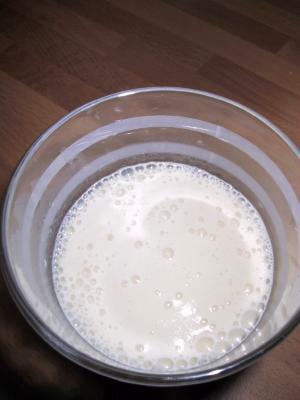 Dissolve your dried yeast and sugar in a bit of your lukewarm water and stir well. Let the yeast sit for 20 minutes. 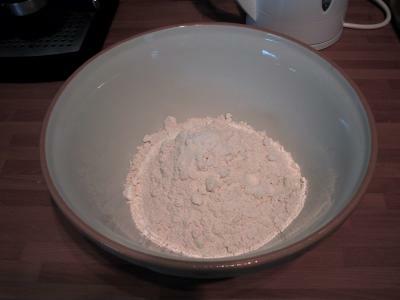 Sift the flour, add the olive oil and the salt to it, and then the yeast and the rest of the water. Knead well - this takes 10 to 15 minutes! Then let the dough sit for 2 hours to prove. Knead again, roll out and it's ready to use. Bake your pizza in the oven at maximum temperature. Yes, that's full whack. A pizza oven does 350 C, so if your oven does less (and it does), crank it up to the max. Put your flour in a bowl. In this picture, it isn't sifted yet. Sift the flour. 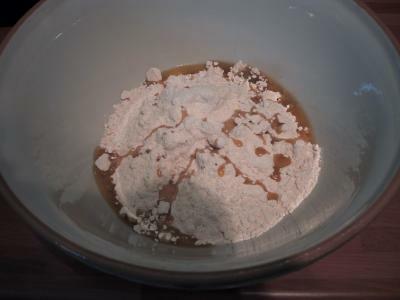 Mix the yeast with the sugar and 50ml of your lukewarm water and stir, then let it sit for 10 to 20 minutes until it develops foam on top. Add the olive oil and salt to the flour. 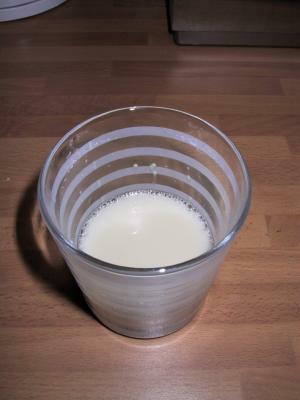 This is what the yeast will look like after 10 minutes. Now add the yeast to the flour, oil and salt and add the rest of the lukewarm water. Mix with your hands and knead until you have a smooth dough ... this will take a good 10 minutes hard work! 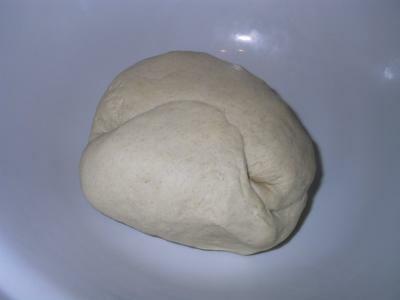 This is what the kneaded dough looks like. If you have any left-over dough, you can easily freeze it in a plastic freezer bag. To thaw it, just leave the bag outside the freezer for a couple of hours and use as normal. 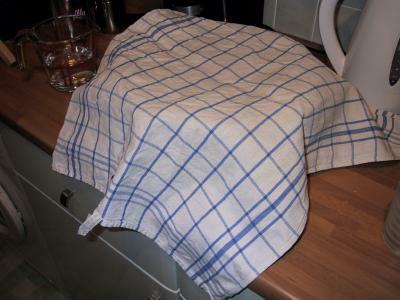 Cover the dough with a clean, dry dish towel and let it prove for 2 hours. 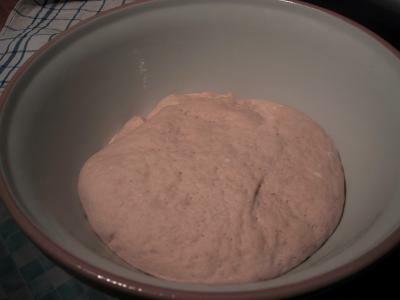 This is what the dough looks like when it has risen. 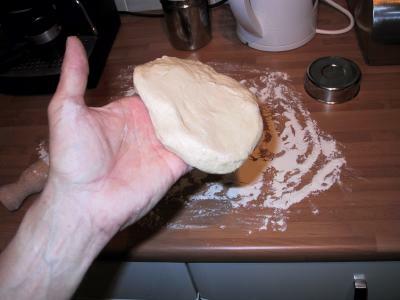 Take a piece of dough and pat into a round shape as seen here. 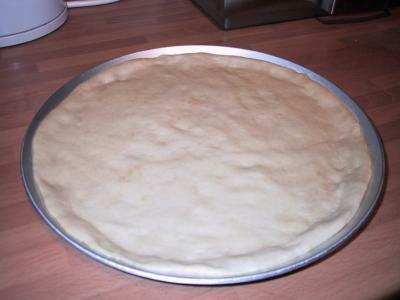 You can either roll out the dough or pat it on to your pizza dish or baking tray. If you can fling it into the air and turn it, please give me lessons on how to do that! 10 Don't use your bread flour, just use the self raising flour. It just has salt and baikng powder in it. It wont be as chewy, but it will raise. If it is too old it will not. The sodium bicarbonate in the baikng powder is what makes it raise. The bicarb has a shelf life. If that self raising flour that you have is like 2 years old, throw it out and use bread flour. It won't taste right or have the right texture, but it will still be eatable and chewy. One last thing Bakers have been putting ascorbic acid in ARTISAN type loaves for many years now to make holes inside the crumb. If you have vitamin c tablets, you have ascorbic acid. Just crush up about 1/2 tsp for a 1 lb loaf recipe and sift it into your bread flour.Good luck!